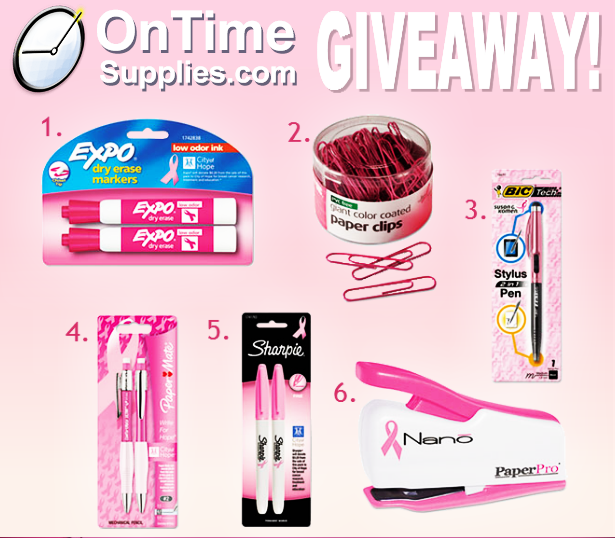 Cute Office Supplies: just a few of the Pink Ribbon Giveaway prizes! Everybody’s favorite low-odor dry erase markers, but pink and therefore much better. You almost don’t mind the reams of paperwork you have to deal with when you’ve got pink paper clips. Ergonomic mechanical pencils and markers, plus a neat tablet stylus / pen combo, all in glorious pink. It’s like Elle Woods said later to practicing law and went into industrial design. A cute stapler sized just right to fit in your no doubt equally cute purse. Even if this were all we were offering in the National Breast Cancer Awareness Month Giveaway, it would still be worth the two seconds of your time it take to enter. But it’s not! We’re giving way a ton of cute, pink ribbon prizes to one lucky winner. $100 in prizes, to be exact. Follow On Time Supplies on Facebook andshare the giveaway on your Facebook page. Follow On Time Supplies on Twitter and re-tweet the giveaway. Leave a comment on this post telling us why you should to win! 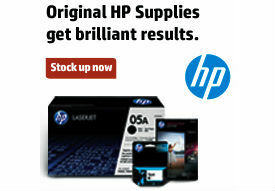 Leave a comment at the contest blog post telling us why you should win. The National Breast Cancer Awareness Month Giveaway runs to the end of the month. Good luck! This will be for a nanny who babysat my two girls for years (until 3 yrs back)who got BCancer last month. She is going through Chemo right now. My daughters are devastated. The nanny has kids a little older than my girls and we can’t stop thinking about their family. Please pray. It will be good to send something nice to make them happy. Using these items would start a conversation, giving me the opportunity to educate others. I would show off support for Breast Cancer Awareness at school since I am a teacher and the student council association adviser. We have already planned a pink out day at school, and these products would be a great way for me to show my support for the cause and let me students see me supporting it! If I win, I would give all of the prizes to my aunt who is a 14 year breast cancer survivor. She is now having to watch her platelets as it could be a sign of lukemia. She worked for many years at the Cancer Office in Oklahoma City until it became too much for her. She also has to wear a special sleeve as she has lymphodima from the mastectomy. I admire the way that she faces these problems on a day to day bases and her cheerful attitude.